The department of Civil Engineering conducted the first phase of its Modular course on Green and Concrete Sustainable Concrete Technology for the III Year B. Tech Civil Engineering Students on 29th March 2019. Two expert speakers in the fields of Concrete Technology and Micro-fine materials were invited for the course. World Water Day celebrated in VFSTR. World Water Day (WWD) is celebrated on 22 March every year to focus attention on the importance of freshwater and advocating for the sustainable management of freshwater resources. The United Nations General Assembly initiated this response on 22 March 1993 as the first World Water Day. The theme for WWD, 2019 is, "Leaving no one behind". Guest Lectures in Mechanical Engineering Department. Department of Mechanical Engineering has organized two guest lectures for the faculty and research scholars on 16 March 2019. 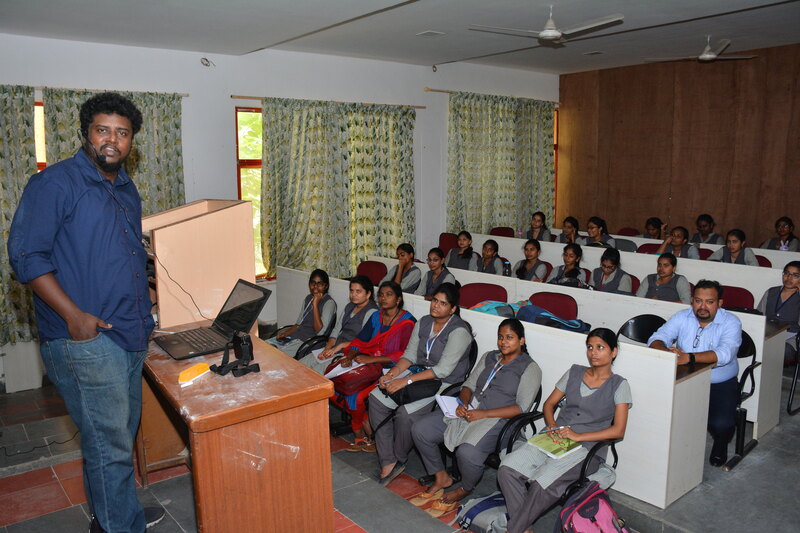 In one session, Dr.M.Jagannatham, Research Manager, TVS Wheels India Ltd presented a lecture on "Practical uses and basic concepts of Transmission Electron Microscopy and X-ray Diffraction Techniques in the Synthesis & Characterization of Carbon mano materials based Hybrid Structures". 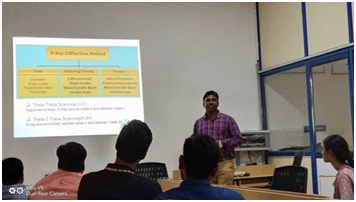 In another session, Dr.ArunDavalUdai, Assistant Professor in the Dept.of Mechanical Engineering, BITS, Mesra (Ranchi) presented a talk on "Inverse Kinematic Analysis for parallel Manipulators". VFSTR had celebrated a day called proudly as "International Women's day" at the Sangamam Seminar hall on 8th March. It celebrates the unique strength of women that is hard to find in the entire human existence. 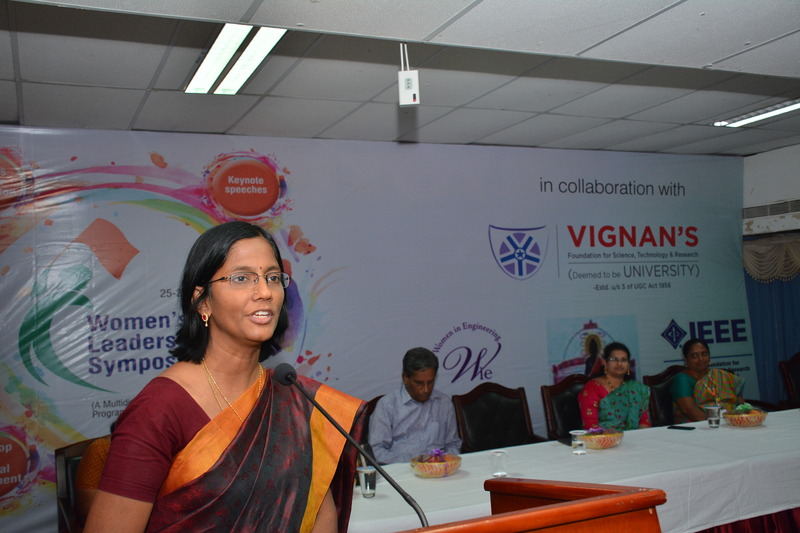 "Women's Leadership Symposium - A Multidimensional Awareness Program on Legal, Cultural and Financial Aspects", is a two day event was organized during 25th - 26th February, 2019 in Sravanthi Seminar Hall of ECE Dept., by WEDC, WIE, IEEE Student Branch of VFSTR (Deemed to be University) in collaboration with Women In Engineering (WIE), IEEE Hyderabad Section, IEEE Guntur Subsection. A two day Faculty Development Programme (FDP) was organized by the varsity's Academy for Faculty Development (AFD) on 23rd & 24th February 2019. Hosted by VFSTR in collaboration with NITTR - Chandigarh, the FDP was inaugurated at 9.30 AM, 23 February in the Video Conference Room, Central Library. There's one time in the year, when for college students all roads don't lead to the classrooms. Yes, we are talking about the Srujanankura - National Level Tech Extravaganza'19 (sponsored by ISRO and co-sponsored by daikin, Ultratech Cement, Paramount Builiding, ECIL, Kveera Furnoture, Santhi Art Gallery & Kanakadurga Agencies) and Anveshan - South Zone Inter University student research convention . VFSTR has transformed itself and moves away from its mundane routine, while also opening the doors to students from across the country. Two- day National Conference on "Regional Literatures in English Translation: Global Perspectives"
The first day of Two-day National Conference on "Regional Literatures in English Translation: Global Perspectives" in VFSTR was filled with enthusiasm organized by Division of English, Department of S&H , in collaboration with ICSSR, MHRD, New Delhi here on Friday(15-02-2019) at Sangamam Seminar Hall. 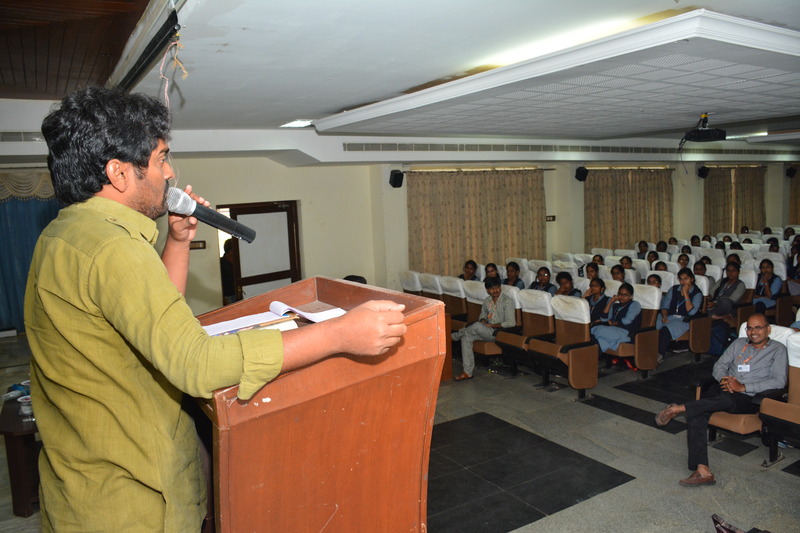 To create awareness about the Intellectual Property Rights (IPR) among the VFSTR Intellectuals, Entrepreneurship Cell (E-Cell) of VFSTR Deemed to be University Organised a seminar on 25-01-2019. The event organised through C-intelligence Services (C-intel), Chennai and it was founded by Mr.Cadric Joseph Manuel who completed his MBA from VIT Business School. The picture of early hours of Saturday was adorable. What a cool misty Republic Day it was. Students with colourful Kurta - Pyjama, the country flags around the campus and March Fast of NCC Cadets, patriotic music, mesmerising cultural performances filled the sense of patriotism among everyone present in VFSTR. National Girl Child Day is celebrated every year on 24 January to encourage the opportunities for the girl child in the society, give them better living with respect to education, medical facilities and care. The Training and Placement Cell has successfully organized SAMEEKSHA, "Employability Skill Assessment Programme for Techno-Management Graduates" on 22nd January at the Spoorthi Seminar Hall in association with Yogi Vemana University. 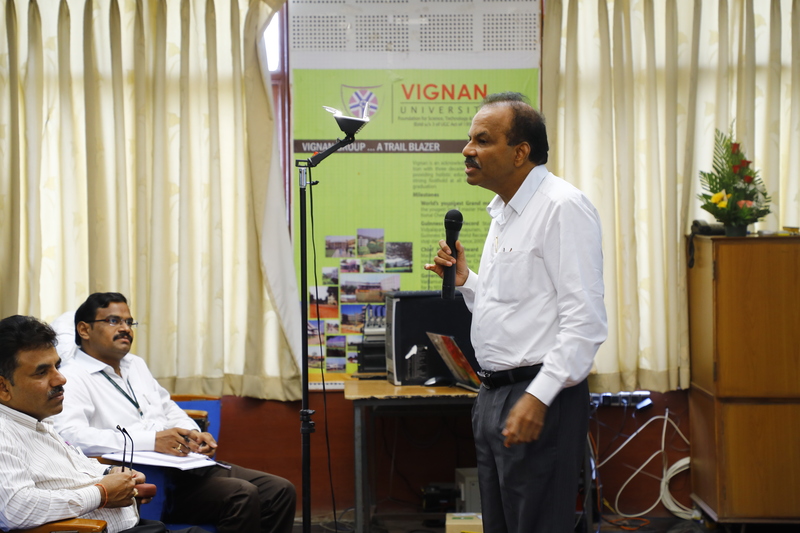 Dr.Y.Subbarayudu, Principal investigator, UGC MRP from Yogi Vemana University was the Convener of the event and Mr.C.RaghavaRao, Head Training supervised the event. 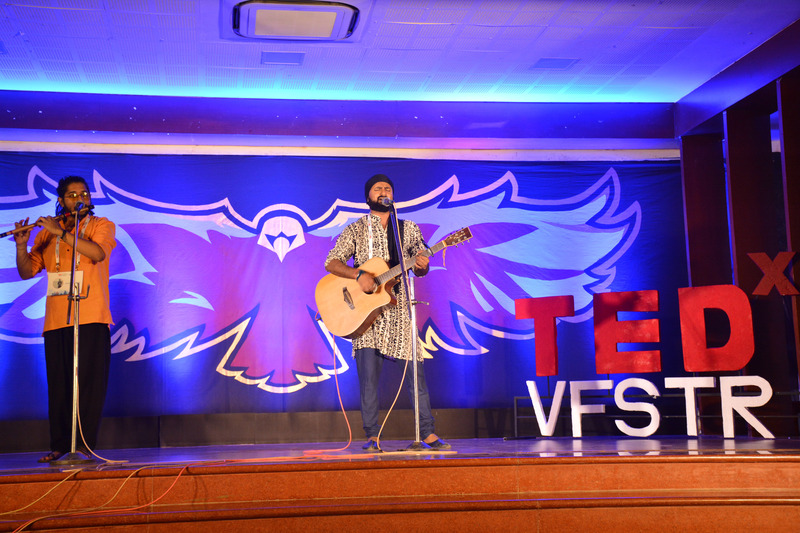 Inspiring talks from a group of achievers and noted personalities across the country, thought-provoking ideas and a platform that saw many young minds come together were the highlights of the second edition of TEDx conducted at VFSTR on Saturday. The event was held under the motto 'Fly'. The series of discussions, involving the young and fresh minds on one side and the ripe and experienced on the other, made the programme as lively and informative as possible. 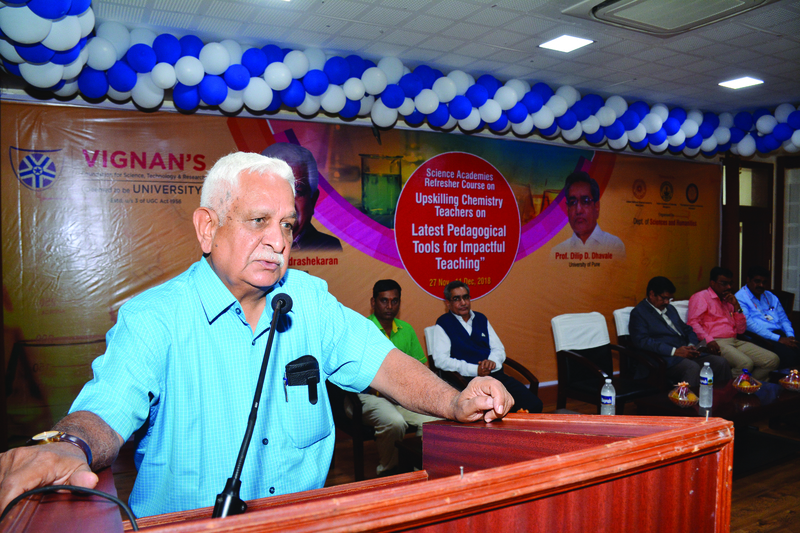 The two-day National Workshop on Advanced Engineering Materials was organized in the dept. of Physics concluded here on Saturday. The students of under and Post graduation and the faculty members from various institutions have attended the workshop and expressed their views which they can take to home. Great enthusiasm and anxiety from the audience gave in to start the event with opening remarks by Dharmi krishna of II CSE and Manvitha of II ECE. 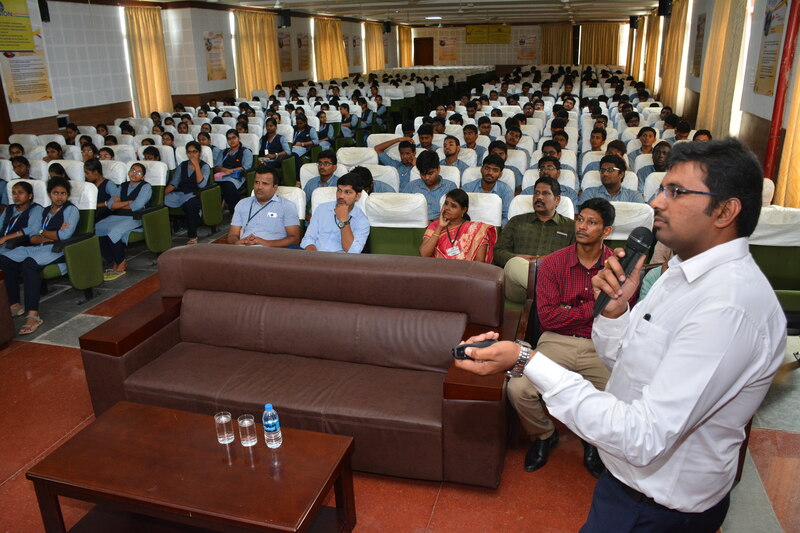 The crowd was encouraged and thanked for turning up and showing interest by the director IES Dr.B.Nageswara Rao. The guest profile was presented by Jayasree of II ECE. 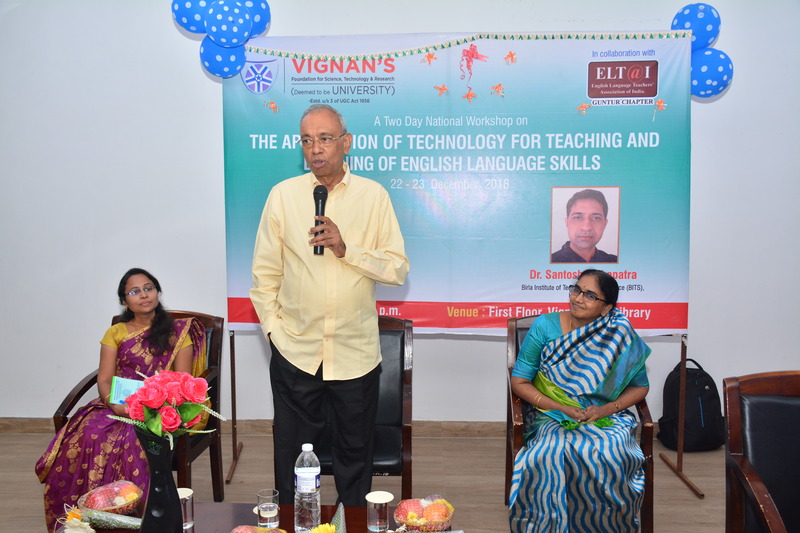 Workshop on "The Application of Technology for Teaching and Learning of English language Skills"
A two-day workshop on "The Application of Technology for Teaching and Learning of English language Skills" organised by the Humanities division of S & H department in collaboration with the English Language Teachers Association of India,(ELTAI) Guntur Chapter successfully completed which was held from 22nd to 23rd December. 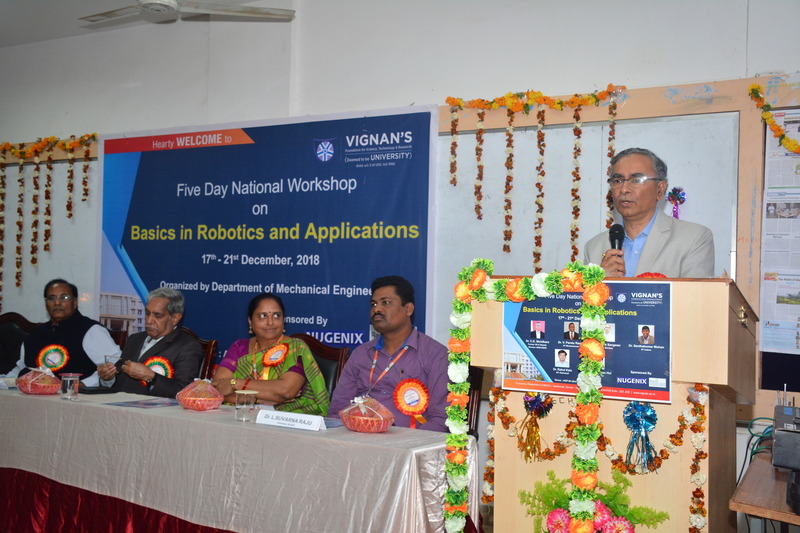 A Five Day National Workshop on Basics in Robotics and its Applications has been started with marvelous presence of more than 50 participants including several experts from ISRO, IIT, NIT, IIIT'S and other major institutions/industries on 17-12-2018 at VFSTR, Guntur. This workshop organized by the Department of Mechanical Engineering in a way to enrich the basic knowledge of robotics and applications among the young scholars and researchers with in our country. The opening of Structural Engineering Research Laboratory, Cloud & Android App Development lab, App Development and Research Lab , CM's Skill Excellence and especially Bio-gas plant was the major thing of the day successfully. The foundation stones was laid by the Chairman Dr.L. Rathaiah. The fifteen-day Indian Science academies sponsored refresher course on "Up skilling chemistry Teachers on Latest Pedagogical Tools for Impactful Teaching" that is being organized by the Dept. of Sciences &Humanities from 27th November to 11th December successfully completed here on Tuesday. The Refresher Course was sponsored by Indian Science Academy, New Delhi, Indian Academy of Sciences, Bengaluru and The National Academy of Sciences, Allahabad. 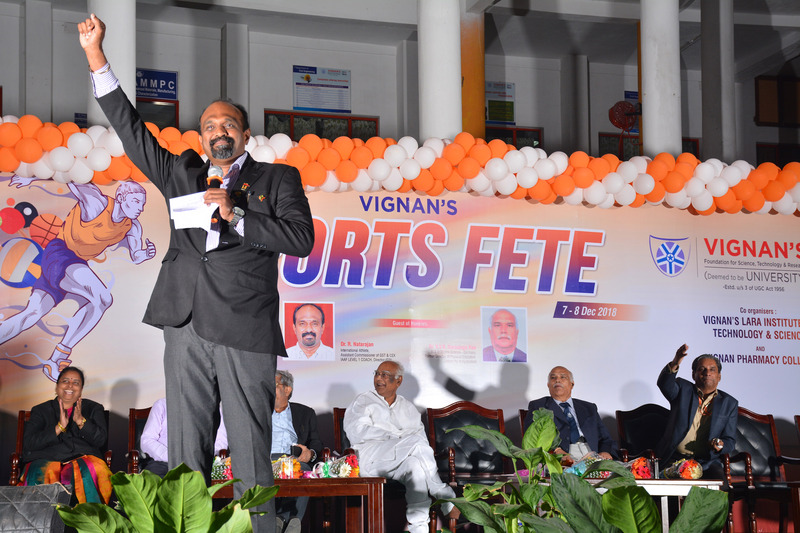 Speaking on the occasion, with his whimsical speech Dr. Natarajan motivated the students to involve in Sports. He said, Sports are good for all of us in daily life as it involves us in common physical activities under healthy environment. The environment of sports becomes very competitive and challenging for the sportsmen so they focus on the challenges put in front. Physical beauty of the person involves in making the humanity of him, he added. 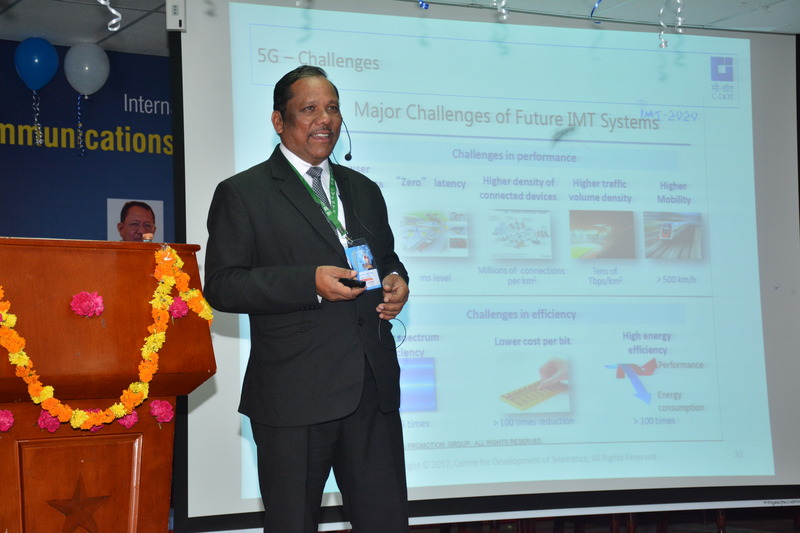 Addressing the IC5GCAT'18 (International conference on 5G Communications, Applications and Technologies) conducted by Department of Electronics Communication and Engineering (ECE) at Vignan University, Mr. Soundar Kumar said that extensive research on 5G technology was yielding results and added that 5G would be the future technology. More than 100 research scholars on 5G technology from 40 countries took part in the conference. Scientists from Indian Space Research Organisation also took part in the conference. Department of Science and Technology, Govt. 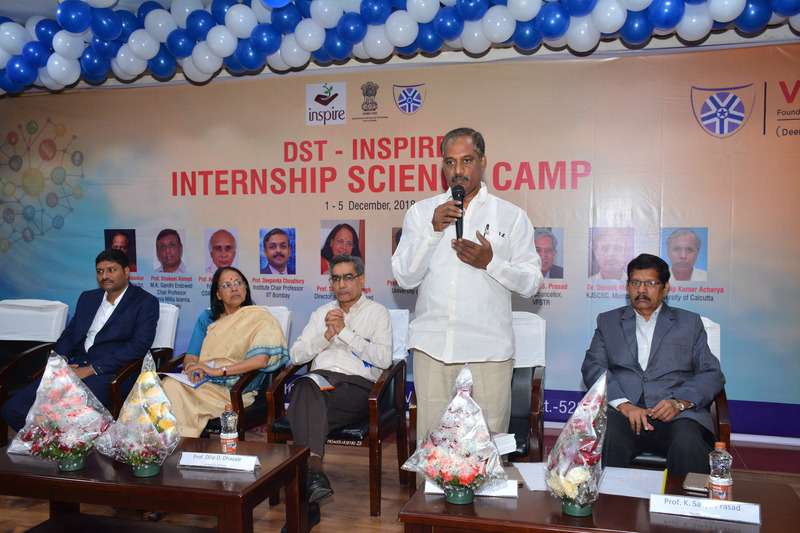 of India sponsored DST-INSPIRE - Camp was inaugurated at the Sangamam Seminar Hall at Vignan's Foundation for Science, Technology and Research (VFSTR), (Deemed to be Unviersity) Vadlamudi, Guntur, Andhra Pradesh. 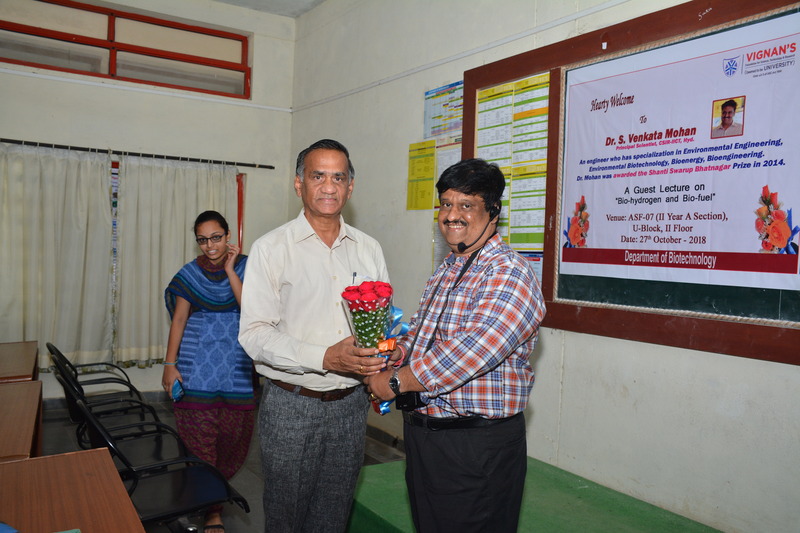 The convener, Prof. Dr. Vijay Ramu Dirisala, Dean, Academics of VFSTR welcomed the Chief Guest Prof. Shashi Bala Singh (Director, NIPER, Hyderabad), Guest of Honour,Prof. Dilip Dhawale, University of Pune, Prof. MV Basaveswara Rao, Secretary Andhra Pradesh Academy of Sciences,Registrar-VFSTR, MS Raghunathan, Prof. K. Satya Prasad (Rector, VFSTR) and Chairman of VIGNAN's group, Dr. Lavu Rathaiah presented their views about the need of this INSPIRE-Camps. The department of Electronics and Communication Engineering has organized a one day workshop on 17th November entitled "Digital Signal Processing using Python" in association with IEEE Guntur Sub section, IEEE Com Society, VFSTR IEEE Student branch and IEEE WIE. 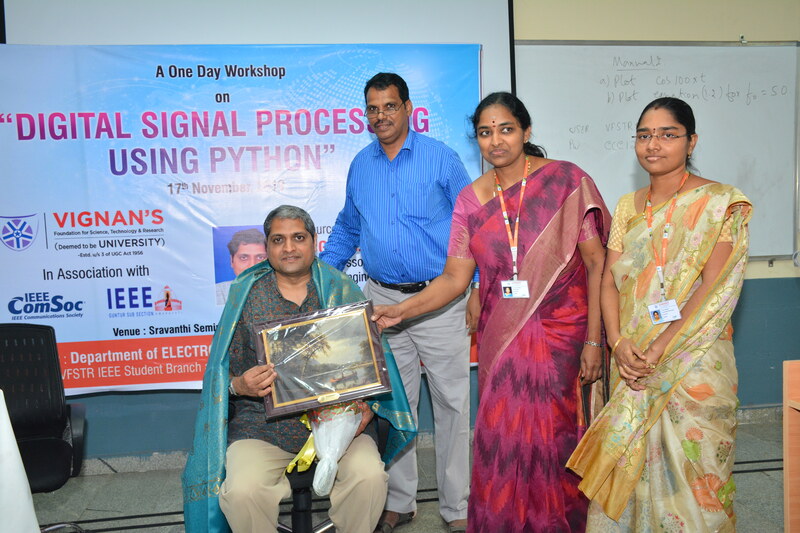 Dr. G.V.V Sharma from IIT Hyderabad acted as resource person and enriched the participants with the knowledge on Python Programming, Signal Generation, Sampling Theorem, Windowing, Fourier Transform and Filtering techniques using in Digital Signal Processing. 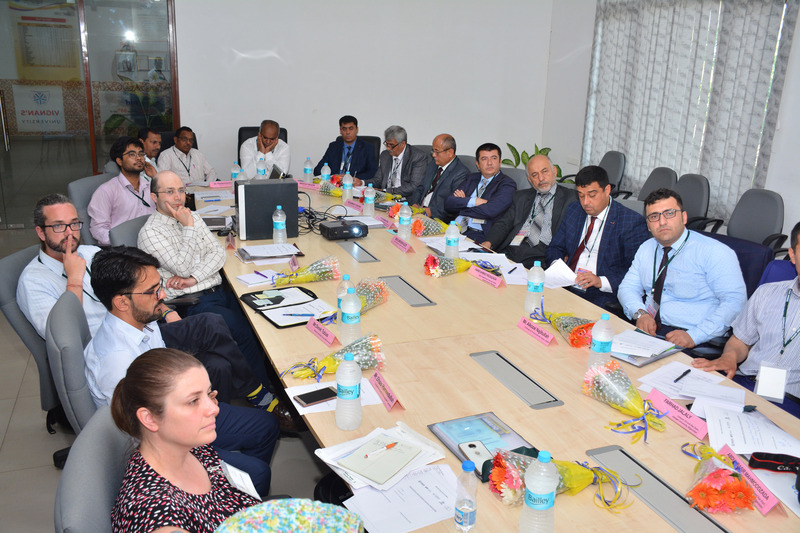 Terra Drone India, associate company of Terra Drone Corporation (Headquartered at Tokyo, Japan), conducted a knowledge transfer symposium here on Thursday at the campus of VFSTR. 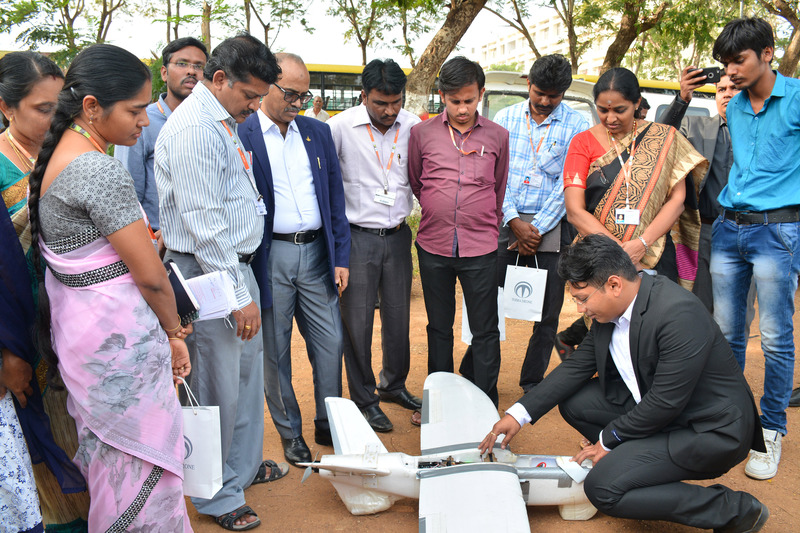 The agenda of the symposium was to establish the concept of Pratham Andhra and to focus on the unmatched capabilities of the Unmanned Aerial System today. The idea was to show how UAV today could aid in realization of Hon. CM of Andhra Pradesh Sri Chandrababu Naidu's Sunrise Andhra Pradesh Vision 2029. 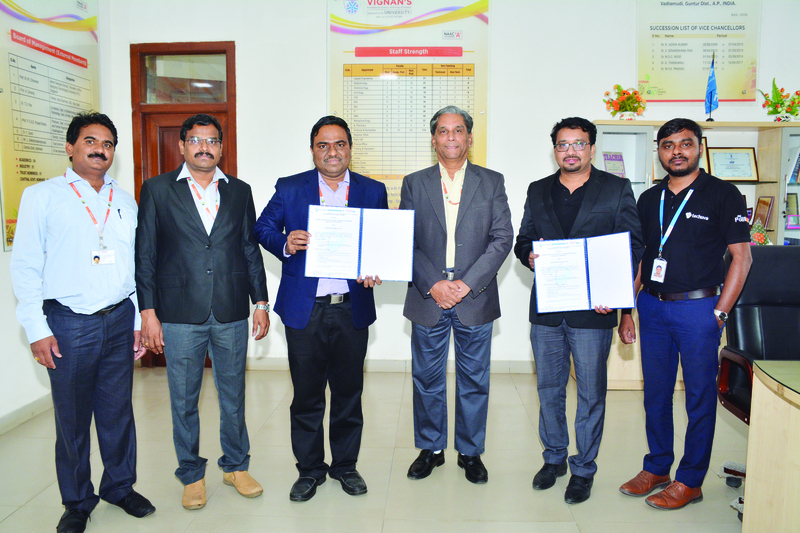 The department of Electronics and Communication Engineering has signed a MoU on "IoT and Biomedical Equipment Development" with Techuva company which is a pioneer in IoT Product development located at Hyderabad. Under this the institution will provide infrastructure for establishing a Incubation Center in the department of Electronics and Communication Engineering. The Research and Development works will be carried out by the department faculty and students in collaboration with Techuva. 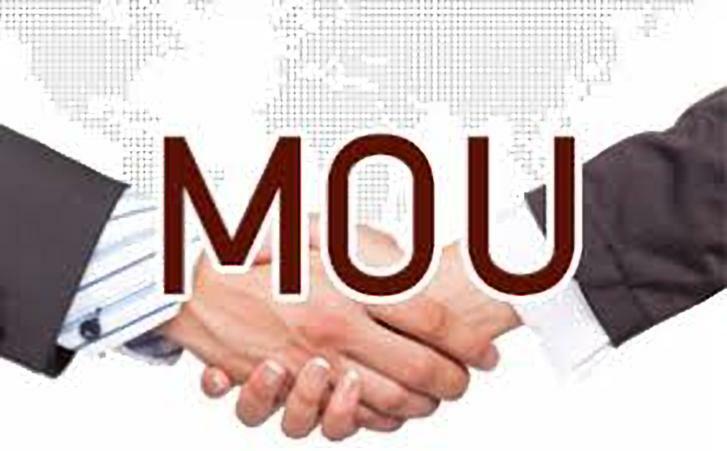 Students and faculty will be benefited with this MoU as they will get a chance to work with End to End product development in the emerging industry of IoT products. The Department of Biotechnology, has organized a Guest Lecture on the topic entitled "Renewable Fuels and Chemicals From Waste Through Biorefinery Format" VFSTR, on 27th October. Dr. S. Venkata Mohan,Principal Scientist, CSIR-IICT, Hyderabad, a Shanti Swarup Bhatnagar awardee (2014) was the resource person. 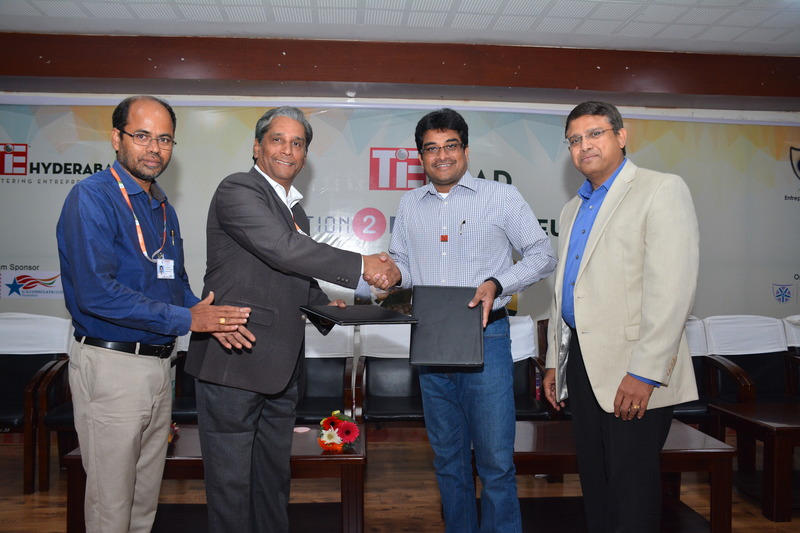 MoU Between VFSTR Deemed to be University and TiE GRAD Hyd. The Indus Entrepreneurs (TiE), was founded in 1992 in Silicon Valley by a group of successful entrepreneurs, corporate executives, and senior professionals with roots in the Indus region. There are currently more than 12,000 members and over 1,800 charter members in 61 chapters in 12 countries.Over the last 25 years of existence TiE Chapters around the world has become a vibrant platform for entrepreneurs, professionals, and industry leaders, investors to interact with one another & forge long lasting relationships. They have conducted a Boot Camp on 26th Oct 2018 at our university campus from 11:00 AM to 6:00 PM. 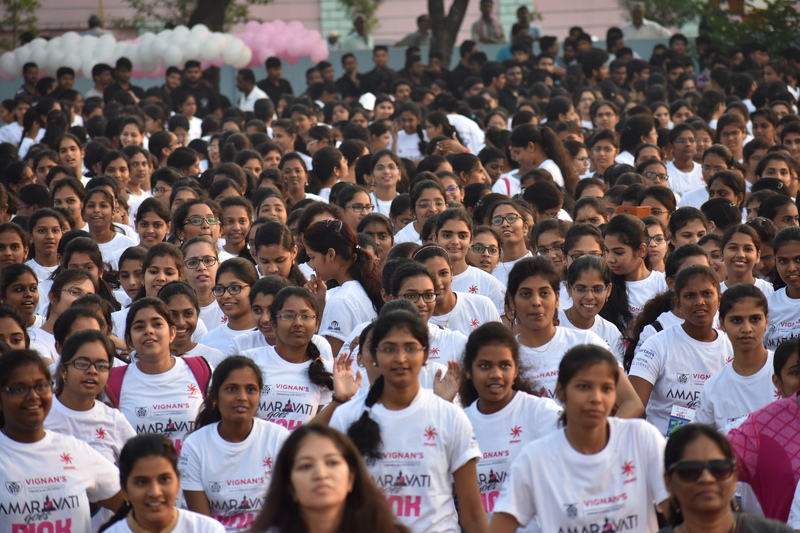 People of Guntur have witnessed a great energy on Sunday morning with a bevy of students turning up for the first edition of 'Amaravati Going Pink' held at Police Parade Grounds. The event was sponsored by VFSTR by giving 5 Lakhs. Coupons were distributed among the participants to avail free service of mammography from Omega Hospitals, Guntur. 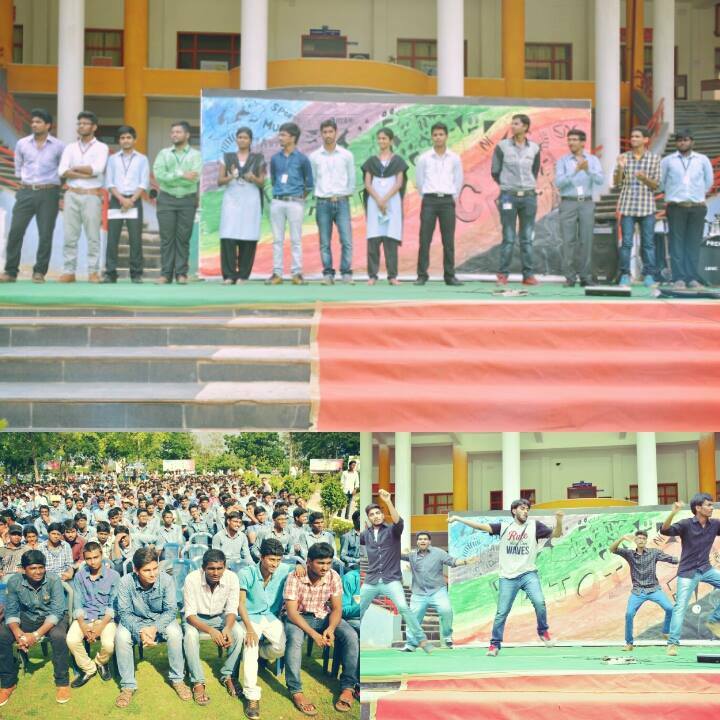 Around 2,000 students had participated in the event. 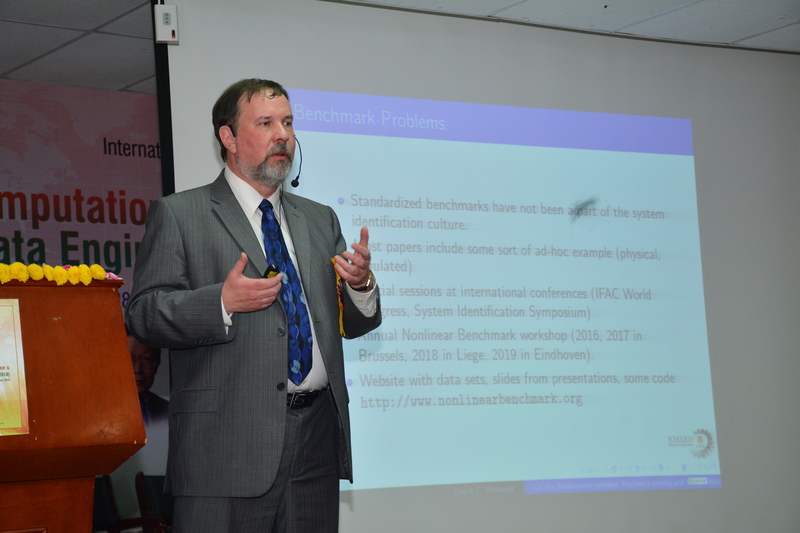 International Conference on Computational Intelligence and Data Engineering (ICCIDE-2018) was held in VFSTR (Deemed to university) from 28-29 Sep, 2018 organized by the Department of IT in association with Springer. The world Pharmacists day, that is being observed internationally on 25th september of every year is celebrated in the VFSTR in grandly by the Dept of Pharmaceutical Sciences. Dr G satish babu, a former clinical Pharmacist in philadelphia, USA and presently the Dean of Pharm. 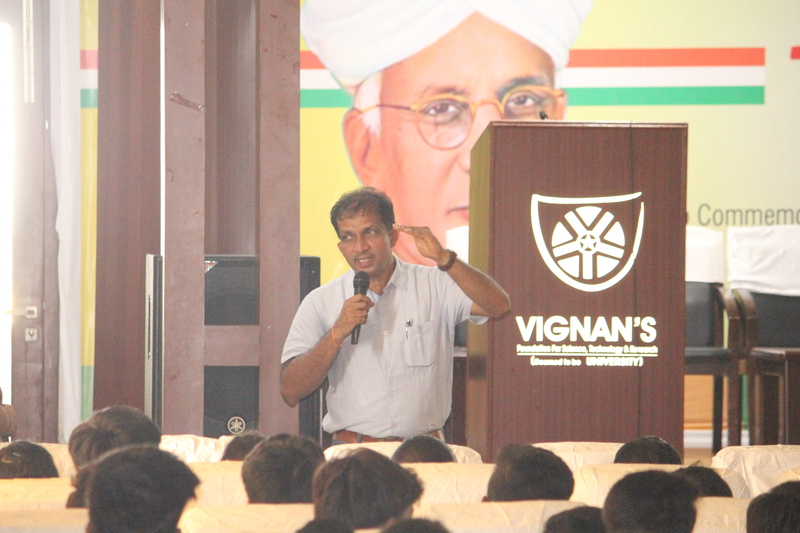 D program of Vignan Pharmacy college is the invited guest of the program, he had shared his experiences and challenges in his career as a clinical pharmacist and advised the students about the necessary steps to be taken to achieve laurels in their career. A one-day Technical session on model Aircraft building and flying was conducted by the Mechanical department on 15th September on the occasion of Engineer's day. To conduct this technical session, the department has collaborated with Rc Hyderabad, a Hyderabad based company specialized in building model aircraft and multipurpose drones. The invited guests presented about the model aircraft. In the afternoon session, pilots from Rc Hyderabad had demonstrated constructional and working of around 20 Rc model crafts. 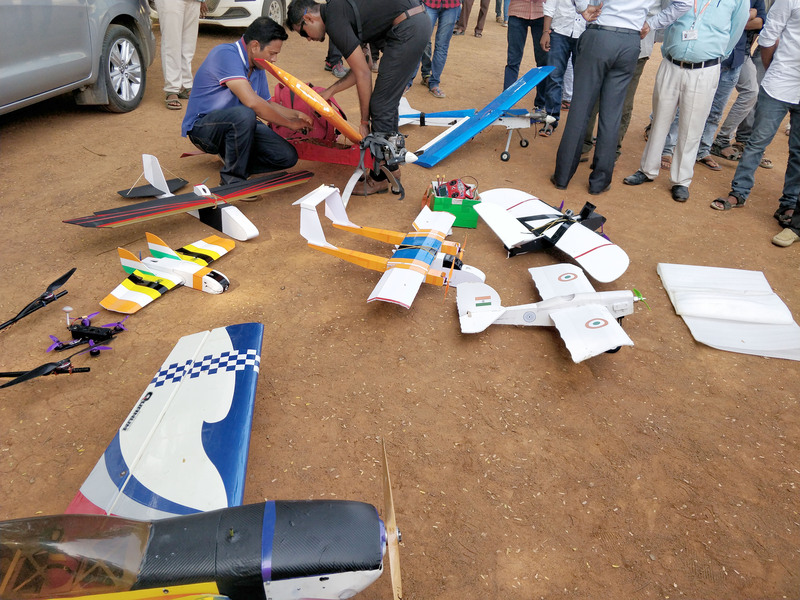 Students from various departments have attended the demonstration and flying session and interacted with the experts. 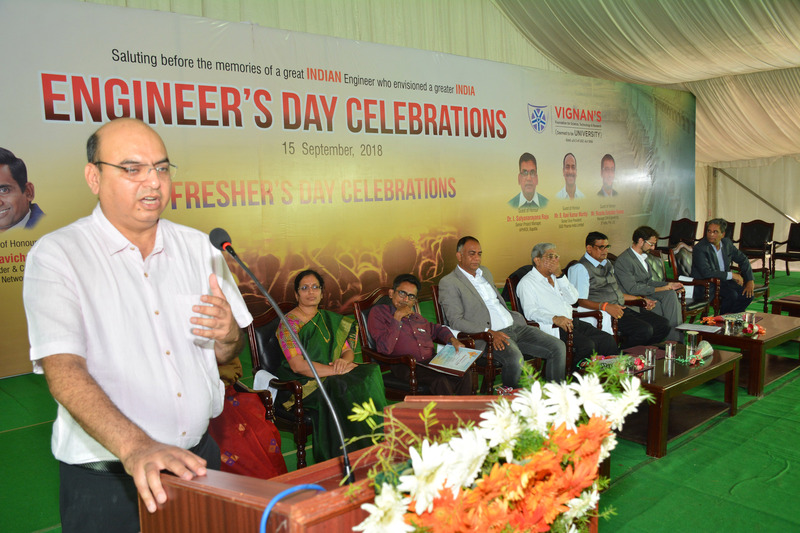 Engineer's Day Celebration in VFSTR - "Birth anniversary of Mokshagundam Viswesvarayya"
On the eve of birthday of Mokshagundam Viswesvarayya, which is considered as "Engineers Day" is grandly celebrated at the VFSTR on 15th September. 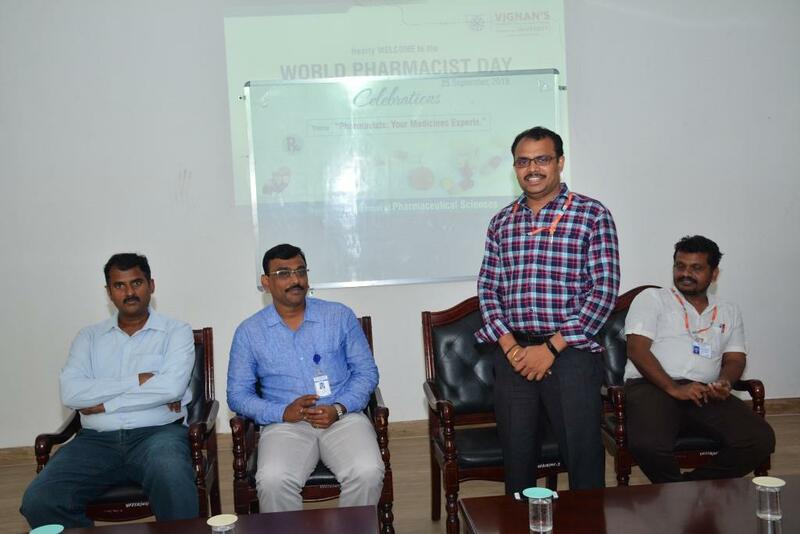 Asuthosh Richharia, head LV Prasad Eye Institute, Terafast Networks Pvt Ltd Sri M Ravichandran, Head operations of Airtel, Aruna Pidikiti, Dr I.Satyanarayana, Senior project manager from APHRDI- Bapatla, SGD Pharma India Ltd. Senior Vice President, B Ravikumar Murthy were the guests of honour on the day. The entire campus was under thunderstorm with student's joy and cheers. 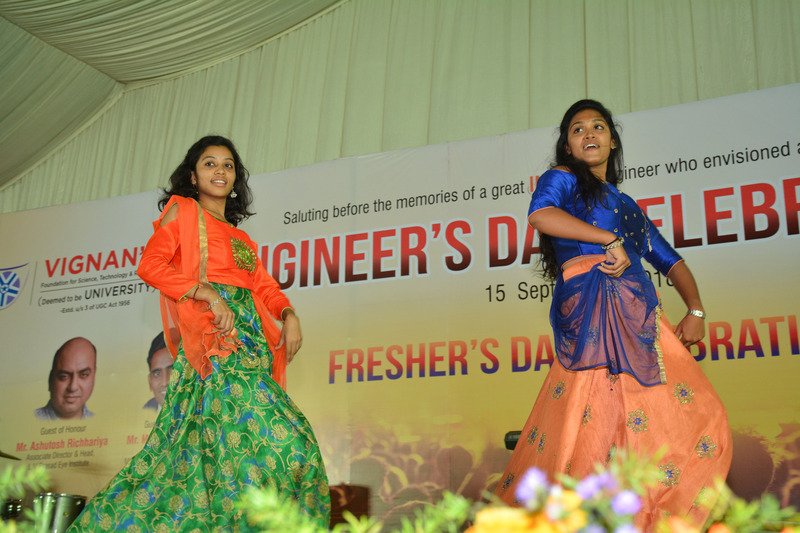 Fresher's day was vibrantly celebrated in the varsity on Saturday. 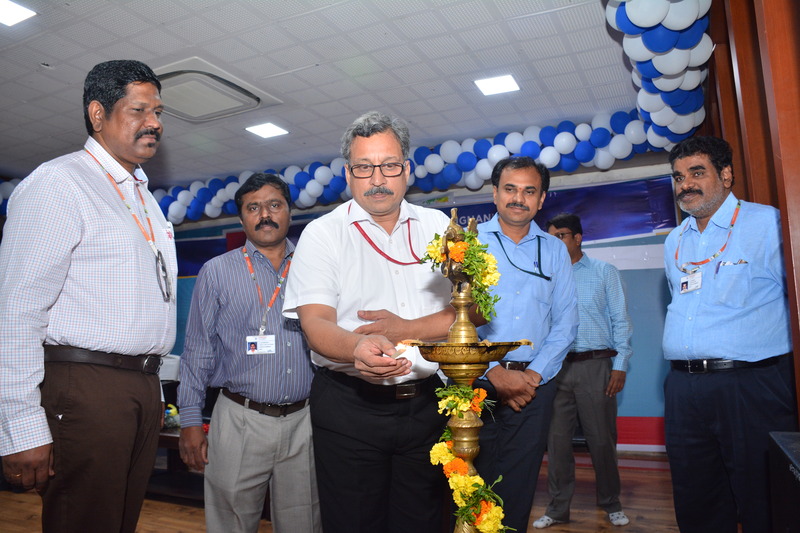 Chairman and founder Dr. Lavu Rathaiah was the chief guest. While speaking to the students and gathering he stated that poverty is a kind of gift, hard work and dedication that can pave path to success. To achieve success, poverty shall act as igniting factor, he added. 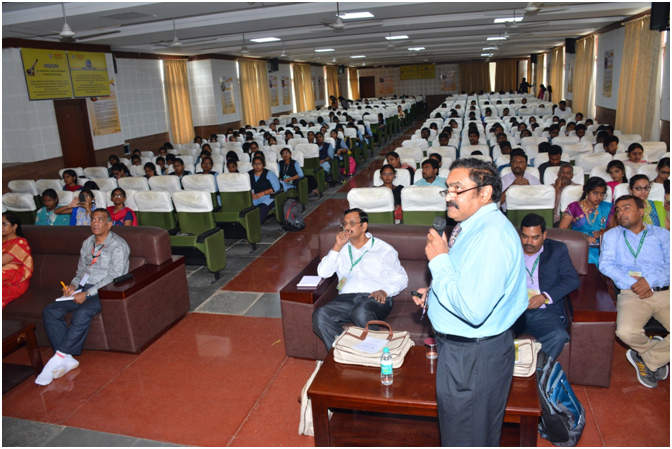 The department of Sciences and Humanities conducted a Guest lecture on "Pharmaceuticals in Environment - an overview" on 11th September at Sangamam Seminar Hall.Nearly 400 students attended the lecture. 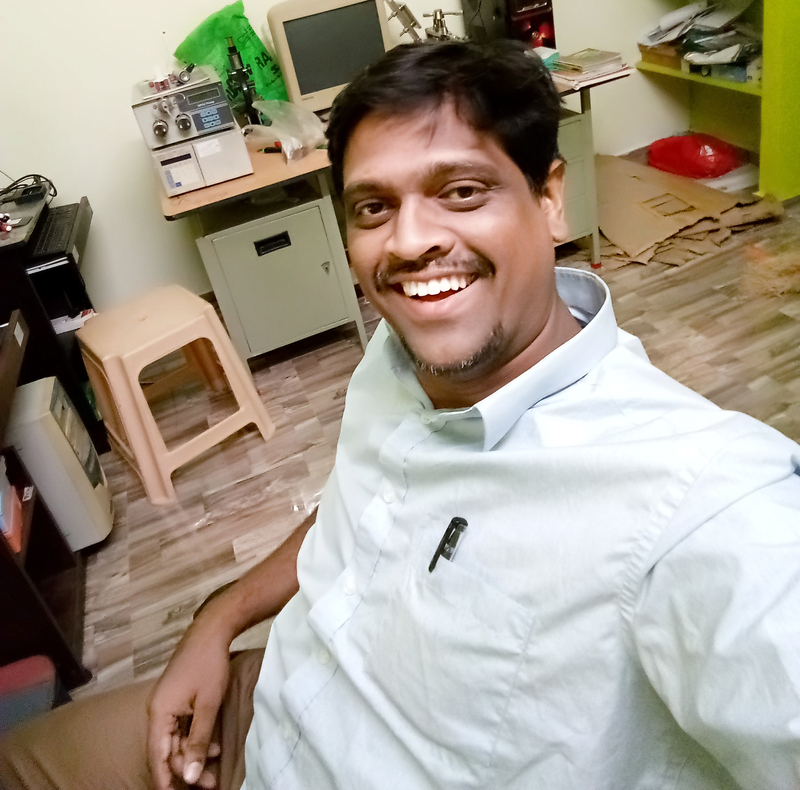 Mr. D. SeshagiriRao manager from M/sSenophySynthelabo India Pvt. Ltd Hyderabad delivered the lecture. 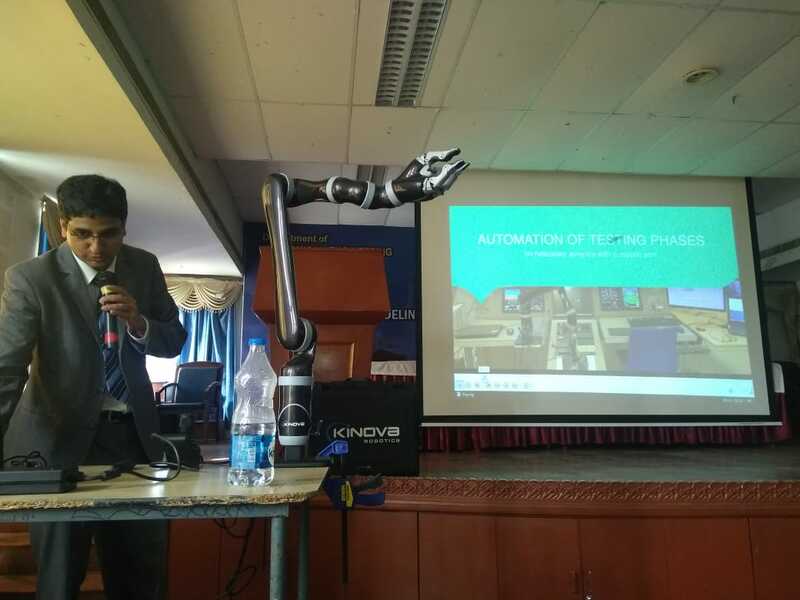 A guest lecture has been organized by the department of Mechanical Engineering on "Advances in Robotics" on 6 September at Sravanthi Seminar Hall. Mr.Aditya Marathe, Business Head, Nugenix Pvt.Ltd, and Bangalore had visited the department and delivered his speech. 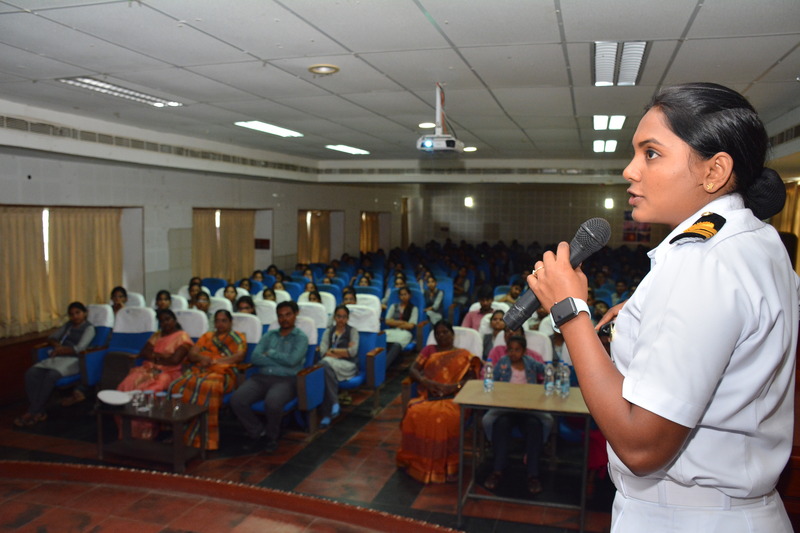 The department of Food Technology organized a guest lecture on " Consumption of GLV, vegetables and fruits helps to eradicate micronutrient deficiencies-India". The speaker was Dr. Sreenivasa R J, Scientist D/ Asst Director, Food Chemistry Division, National Institute of Nutrition, ICMR, Hyderabad. 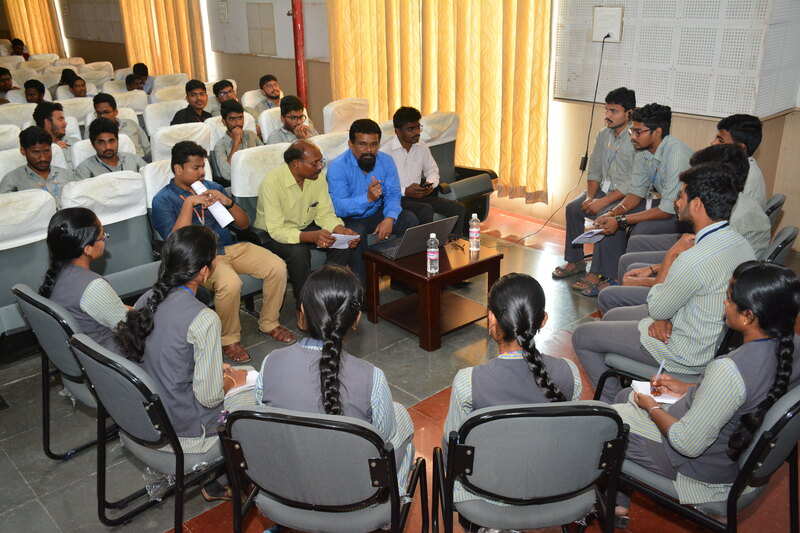 A modular course program was being held for Biotechnology students where two scientists Dr. ArunShastry and Dr. Berty Ashley came from Dystrophy Anhilition Research Trust where they work on personalized Medicines for the disease Dystrophy suffering patients. So Dystrophy is a group of Genetic diseases that cause progressive weakness and Loss of Muscle mass. They guided students how to find a drug for a particular disease of any type. 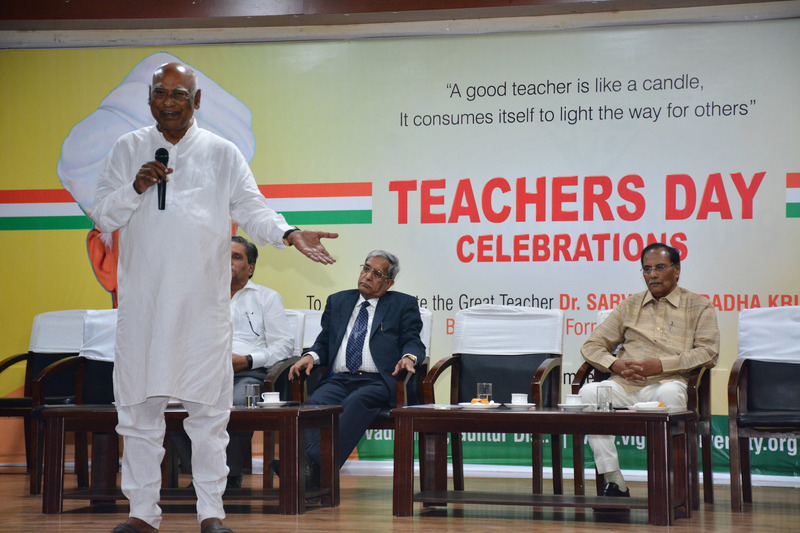 The varsity had celebrated teacher's day in a grand way at the sangamam seminar hall to commemorate the birthday of Dr. Sarvepalli Radhakishnan with great enthusiasm and has called it a day. It is known that every year on 5th of September to honor and acknowledge the contribution made by countless numbers of teachers in helping and molding the career of millions of students and in turn shaping the destiny of India. 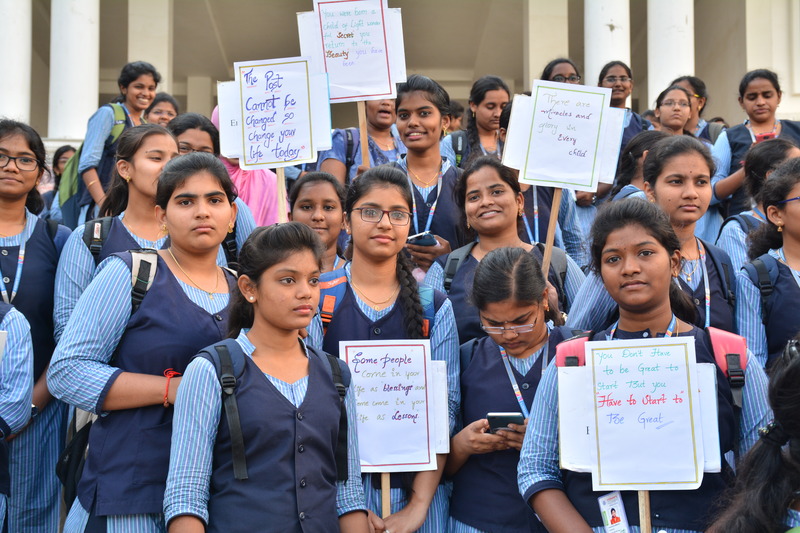 The students of Vignan had set their journey forward on a mission to support and rehabilitate the flood victims of Kerala. 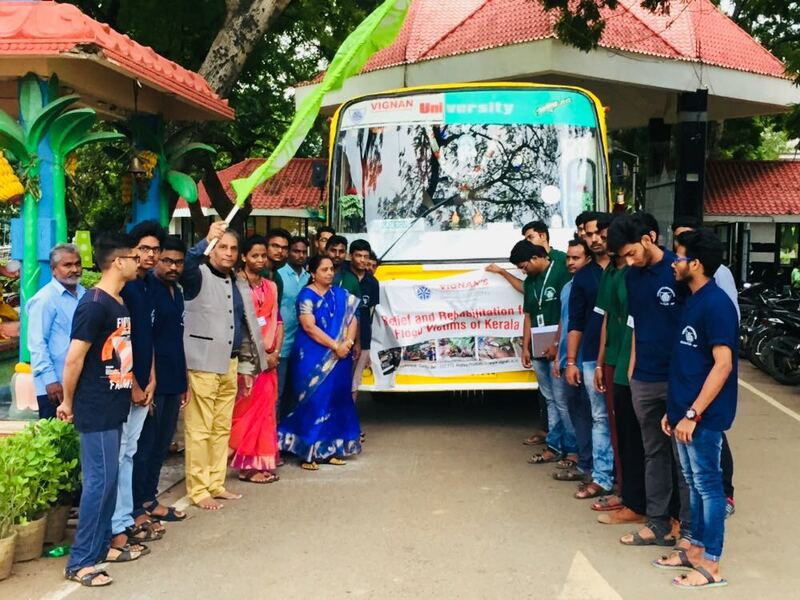 The ideal mission is flagged by Registrar Cmdre M S Raghunathan, Dean Student affairs Dr M SS Rukmini here on Friday.A team of 23 students,2 Faculty and a Doctor are associated with the students. The Pride Vignanites will spend about a week days of time in Idukki district of Kerala and will participate in flood relief camps in coordination with the local NGO'S. 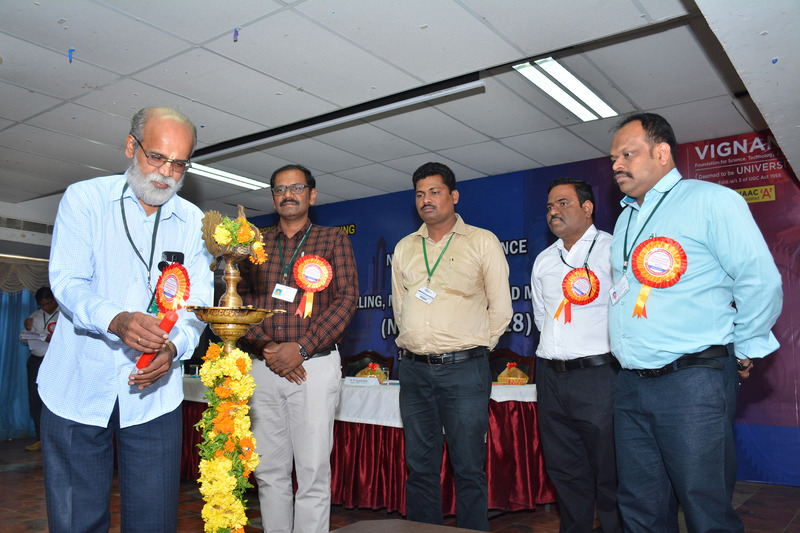 A two day National Conference on "Advances in Modeling, Manufacturing and Materials Engineering" (NCAMMM - 2K18) has been inaugurated with marvelous presence of more than 250 participants from various Institutions/research centers across the country are gathered at Vignan's Foundation for Science, Technology and Research (VFSTR) Guntur on 18th August 2018. This conference is organized by the Department of Mechanical Engineering in a way to share various innovative ideas, exchange new information among experts, young scholars and researchers. Department of Bio-Technology organized a two day national conference on "Recent advances in Bio-Technology - An awareness on conservation of medicinal plants for healthcare" during 16th and 17th August 2018. The main concept of organizing this conference is to impart the knowledge on medicinal plants for large scale cultivation and the same is profitable to the local farmers. Creating awareness about the herbs available around our villages, their usage and conservation are the need of the hour. Herbs used as food and medicine, their health benefits and precautions required while consuming needs to be disseminated. Freedom is in the air, the sense of independence, the sense of being on our own. Rain or sunshine, what's it gonna be? 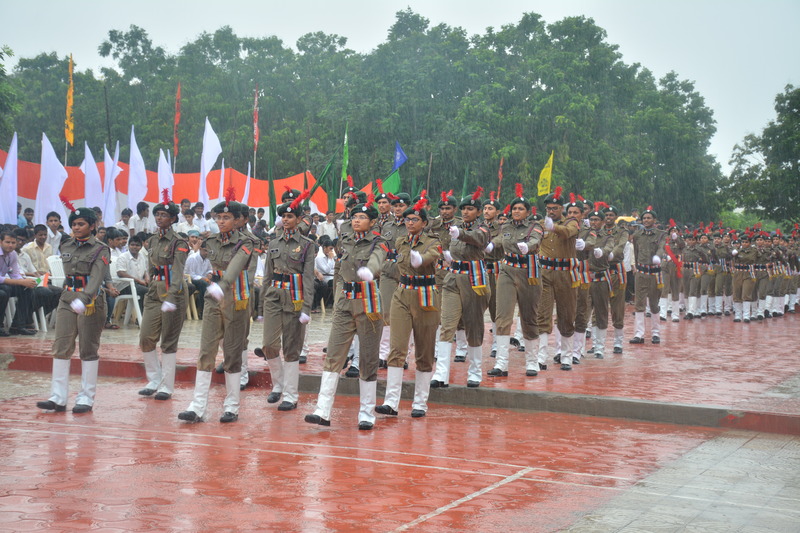 The 72nd Independence Day was celebrated with patriotic zeal, great pomp and show in VFSTR. The chief guest was Pavuluri Sivarama Krishnaiah, a freedom fighter. 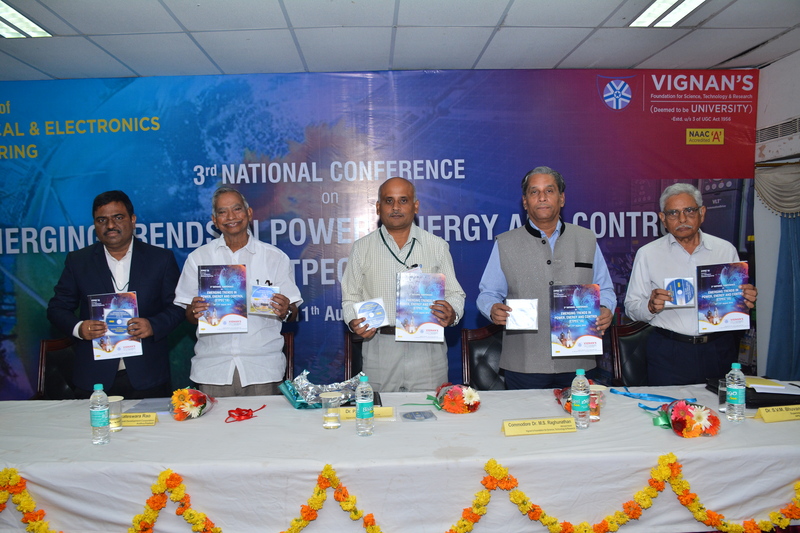 Department of EEE organized 3rd National Conference on "Emerging Trends in Power, Energy and Control" (ETPEC 2018) from 10-11 Aug 2018. The vision of the ETPEC-2018 was to promote brainstorming, so that critical issues pertaining to individual research activities can be addressed and ideas can be exchanged through extensive discussions. The conference focused on specific Engineering streams - allowing the speaker to drill deep into the issue and ensure that we return to our workplace with actionable information that we can put to use the very next day. 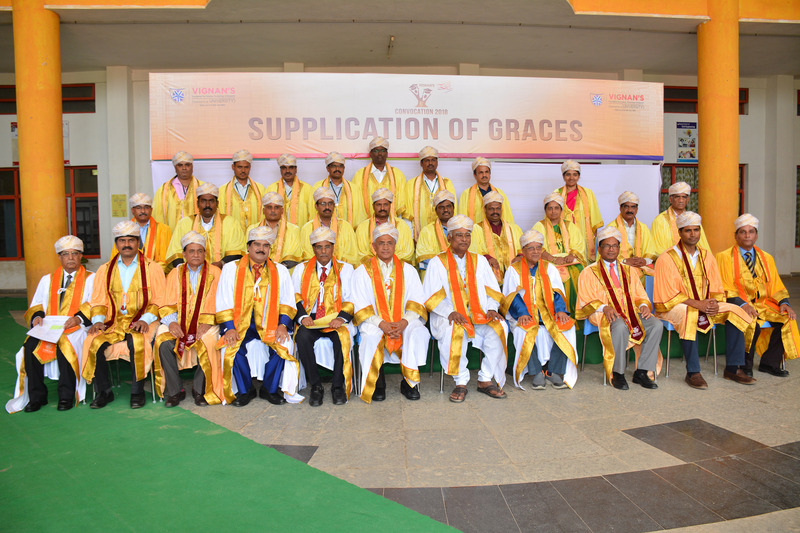 Shanta biotech founder DR.K.L.VARAPRASADA REDDY is the Chief Guest for the sixth convocation. VFSTR will be conferring honorary doctorates to Shanta biotech founder DR.K.L.VARAPRASADA REDDY, Physician and socal DR.KUTIKUPPALA SURYA RAO, Film director SINGEETAM SRINIVASARAO on this occasion. 1230 students received their degrees in this convocation. 17 scholars have completed their research and awarded with PhD degrees. 20 meritorious students, who topped the merit list received Gold Medals. The best outstanding student among the best students will be also honored with chairman's gold medal and five other students also honored with memorial awards. 17 students honored with best out going awards. A guest lecture was organized by the Department of Electronics and Communication Engineering on 30th July 2018 from 9.30am to 11.00am insravanthi seminar hall. 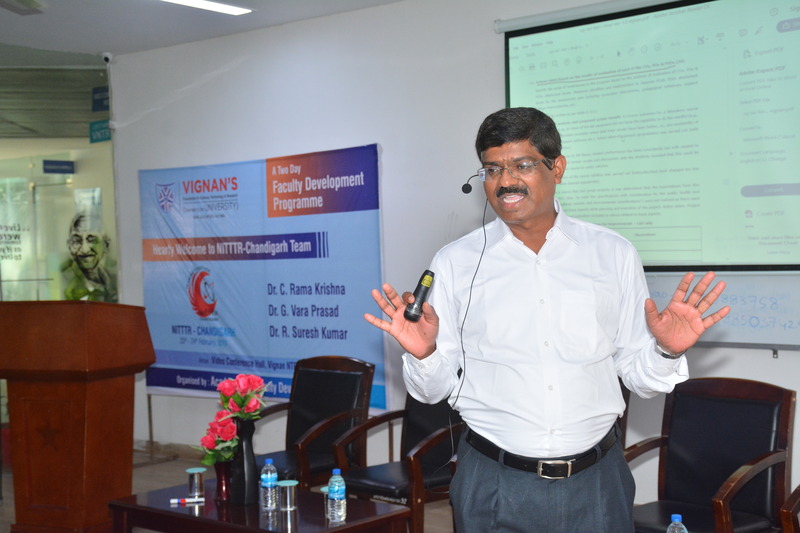 Sri D.Rama Krishna, MD Efftronics, Vijayawada is the chief guest and keynote speaker of this lecture. REJOICE 2018 "a Curtain Raiser event for Optional Clubs"
The curtain raiser events for Optional Clubs - REJOICE is planned to be organised on 28th July'18. The newly selected Student Activities Council and Sports Contingent members will be introduced to all the students on this occasion further the optional clubs will start functioning regularly. This event mainly promotes the talent of first year students and as a part of creating the interest towards it, an audition has been held on 25.07.2018 for different categories like anchoring, theatre arts, dance and music in which a total of 110 members have participated. The company named Keysight Technologies (RF, Wireless Communications) has organized one day workshop on 20/ 07/2018 from 9.00am to 4.30pm. The Vignan keysight education symposium 2018 is dedicated to drive meaningful collaboration between the industry and academia. The workshop is oriented to provide the experience of real life tools used by the industry and academia. This symposium helps the participants to innovate the game changing technologies across the industry and academia. 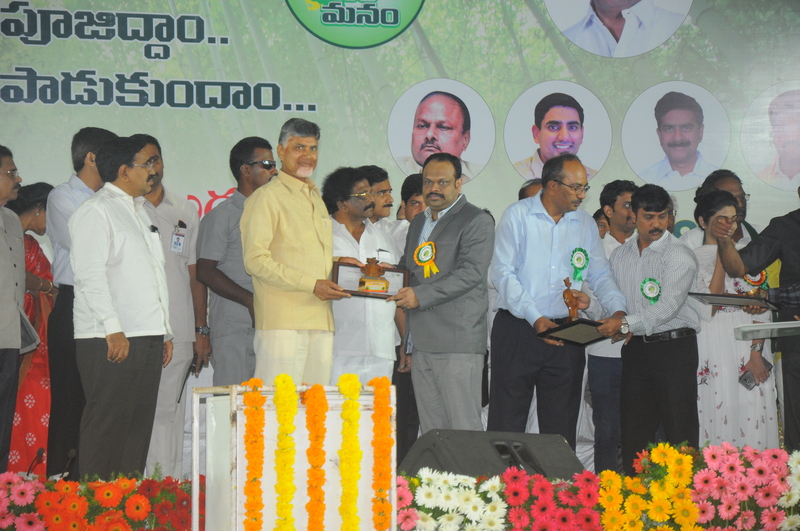 Vignan's Foundation for Science, Technology & Research was conferred with the Green Award for 2017 from the AP government. VFSTR bagged the second prize in the category of Deemed Universities.Vignan received the award at the "Vanamahotsavam" function that took place at IIIT, Nuziveedu on 14 July 2018. The saying in English "Where there is a will there is a way" can be aptly used with the achievements of Lieutenant Commander P. Swathi, who has set example to many young minds by achieving the pinnacle of success by her sheer hard work and perseverance. Lt. Cdr. Swathi with five other women navy officers completed the voyage on INSV Tarini and became the first "all women naval crew" to circumnavigate the earth from 10 September to 21 March 2018. Chemical Engineering Department of VFSTR organizing "Afghanistan University Support and Workforce Development Programme" - a Professional Development Workshop for Jawzjan University, Afghanistan from 30-06-2018 to 12-07-2018 with the collaboration of Texas A&M University, USA with funding from USAID. Machine learning is a paradigm of learning from past experience to improve the future predictive performance. The sole focus of machine learning is to automate the learning. Machine Learning (ML) has evolved from the endeavour of few computer enthusiasts exploiting the possibility of computers learning to play games, computational approaches to design decision support systems.